DCDC’s mentoring plan embodies six core competencies, as outlined by the National Postdoctoral Association (NPA, 2014). These proficiencies will be a part of our discussions and activities so that we can improve our mentoring skills through interactions at DCDC: 1) discipline-specific conceptual knowledge, 2) research skill development, 3) communication skills, 4) professionalism, 5) leadership and management skills, and 6) responsible conduct of research. 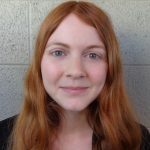 Abigail Sullivan was a post-doctoral research associate at ASU’s Decision Center for a Desert City from 2016-2018. Dr. Sullivan is an environmental social scientist studying environmental governance, with a focus on challenging human-environment issues such as invasive species and drought. 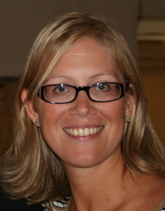 Abie’s research focused on freshwater governance in the Colorado River basin. She received a Ph.D. in environmental social science from Arizona State University, a master’s degree in ecology and environmental science from the University of Maine, and a bachelor’s degree in environmental science from Unity College. Sullivan’s research has explored a variety of human-environment issues, including managing community forests in Nepal and climate change adaptation in the Colorado River basin. She uses her findings to provide practical insights for local communities and decision makers. One of Sullivan’s recent projects analyzed an ongoing drought policy planning process to understand barriers and facilitators to governance across multiple scales – between federal, state and local decision makers – in the lower Colorado River basin. In another project, Sullivan surveyed public perceptions of climate change and support for water governance transitions in Denver, Las Vegas and Phoenix to inform local decision makers. 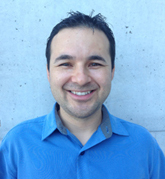 Nigel Forrest is a post-doctoral research associate at ASU’s School of Sustainability and Decision Center for a Desert City. His research interest is in urban sustainability and solution-oriented research for transformational sustainability, and in particular, how to develop and implement transformational sustainability solutions within city-regions. 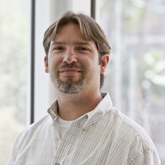 He manages the Transformational Solutions Research and Education lab where the mission is to execute sustainability transition experiments in the food-energy-water nexus in collaboration with local stakeholders. His research has included small-scale community-based sustainability transitions and their success factors, and intervention selection processes within municipal sustainability initiatives. He has taught sustainability courses emphasizing transformational methods and solutions at undergraduate and high school levels. 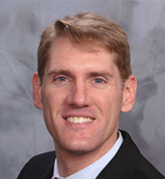 Dr. Bohn joined DCDC in July 2013 after graduating with his Ph.D. from the University of Washington. Originally from Illinois, Ted has lived most of his life on the US West coast (California and Washington) with short stints in Washington, DC and Houston, TX. He holds a Bachelor’s degree in Engineering Physics (U.C. Berkeley), a Master’s degree in Seismology (U.C. Berkeley), and a PhD in Hydrology and Water Resources (Civil Engineering; University of Washington). 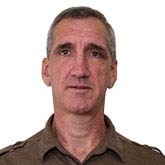 Ted’s expertise includes large-scale hydrological and biogeochemical modeling, water resources, sustainability, climate impacts, land use/land cover change, remote sensing, the North American monsoon, water vapor transport, ecohydrology, boreal/arctic hydrology, wetland biogeochemistry, and the global carbon cycle. Investigating pathways of monsoonal atmospheric moisture transport within Mexico and to the US, and how land use strategies affect these pathways. Co-developing a decision-support tool with stakeholders on both sides of the US-Mexico border to aid in managing land/water use in light of these moisture pathways. Ted’s research is jointly tied to Professor Enrique Vivoni in the School of Earth and Space Exploration and Professor Dave White at Decision Center for a Desert City. Moreno, H.A., E.R. Vivoni, and D.J. Gochis. 2013. Limits to flood forecasting in the Colorado Front Range for two summer convection periods using radar nowcasting and a distributed hydrologic model. Journal of Hydrometeorology 14(4):1075-1097. doi: 10.1175/JHM-D-12-0129.1. Gober, P., A. Middel, A. Brazel, S. Myint, H. Chang, J. Duh, and L. House-Peters. 2012. Tradeoffs between water conservation and temperature amelioration in Phoenix and Portland: Implications for urban sustainability. Urban Geography 33(7):1030-1054. Middel, A., A.J. Brazel, P. Gober, S.W. Myint, H. Chang, and J. Duh. 2012. Land cover, climate, and the summer surface energy balance in Phoenix, AZ and Portland, OR. International Journal of Climatology 32(13):2020-2032. Middel, A., K. Hab, A.J. Brazel, C. Martin, and S. Guhathakurta. 2012. Urban form, landscape design, and microclimate in Phoenix, Arizona. Proceedings of the 8th International Conference on Urban Climate (ICUC8), August 6-10, 2012, Dublin, Ireland. Middel, A., A. Brazel, B. Hagen, and S. Myint. 2011. Land cover modification scenarios and their effects on daytime heating in the inner core residential neighborhoods of Phoenix, AZ, USA. Journal of Urban Technology 18(4):61-79. Middel, A. 2009. Estimating residential building types from demographic information at a neighborhood scale. In Visualizing Sustainable Planning, eds. G. Steinebach, S. Guhathakurta, and H. Hagen, 187-202. Springer. Middel, A., S. Guhathakurta, H. Hagen, P. Olech, and F. Höpel. 2009. Visualizing future 3-dimensional neighborhoods in Phoenix: An application incorporating empirical methods with computational graphics. In Virtual Geographic Environments, eds. M. Batty, and H. Lin, 87-102. Science Press. Ruddell, D., D. Hoffman, O. Ahmad, and A. Brazel. 2013. Historical threshold temperatures for Phoenix (urban) and Gila Bend (desert), Central Arizona, USA. Climate Research 55(3):201-215. Ruddell, D., S.L. Harlan, S. Grossman-Clarke, and G. Chowell. 2012. Scales of perception: Public awareness of regional and neighborhood climates. Climatic Change 111(3):581-607. Harlan, S.L. and D. Ruddell. 2011. Climate change and health in cities: Impacts of heat and air pollution and potential co-benefits from mitigation and adaptation. Current Opinion in Environmental Sustainability 3:126-134. Ruddell, D.M., S.L. Harlan, S. Grossman-Clarke and A. Buyantuyev. 2010. Risk and exposure to extreme heat in microclimates of Phoenix, AZ. In Geospatial Techniques in Urban Hazard and Disaster Analysis, P. Showalter and Y. Lu. Springer, 179-202.